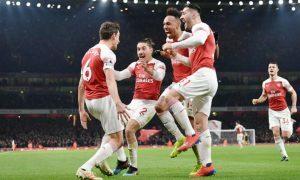 The points won during the third Premier League weekend are very important as they might define the course of the season for most of the clubs. It was a great weekend for Liverpool, who trashed Arsenal scoring four goals and missing at least ten more chances. 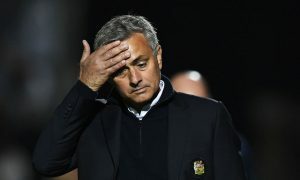 However, let’s start from the bottom side of the table where Bournemouth, Brighton, Crystal Palace, Newcastle and West Ham have been sitting on August 26th. A win would have sent any of them mid-table and would have given a confidence boost to the players, the manager and the fans. Newcastle have been desperate to win 3 points against West Ham, after 2 lost fixtures and the disappointing transfer window they have had so far. The club owner Mike Ashley has said that Newcastle cannot compete financially with other Premier League clubs and now it looks like that the Magpies should rely on Rafael Benitez management to stay in the Premier League. This Saturday’s 3:0 win against West Ham was very important one for Newcastle. It has bought the Magpies time and it proved that Rafael Benitez despite not been able to sign the players he wanted, still can keep Newcastle in the Premier League. 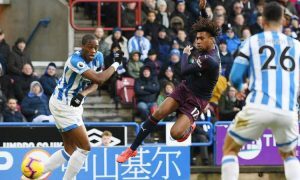 Bournemouth, who have been considered as a team that would finish in the top ten, welcomed Manchester City and were disappointed to loose the game after Raheem Sterling scored in the stoppage time. The game was a test for Pep Guardiola’s team that has been boosted by £200 million summer spendings. Anything but win for City was about to be considered as a poor result. The Sky Blues should be in a good condition on September 9th when they host Liverpool at Etihad. it is going to be a big game between two title contenders. But let’s go back to Bournemouth. The Cherries are one of the three bottom teams with zero points. Edie Howe’s team goes to Emirates on September 9th to play against Arsenal, who cannot afford loose points anymore. The next fixtures for Bournemouth are a home game against Brighton, an away one against Everton and then another home match against Leicester City. It is not going to be easy for them to win more than 6 points by the end of September. I they don’t win some, they will be involved in the relegation battle. Frank De Boer needs time? The Swansea visit to Selhurst Park was a must win match for Crystal Palace and their new Dutch manager Frank De Boer. De Boer have a very good footballing ideas and he would do great things for Palace and the fans would love him. However, he really needs to start winning games in the first place. It looks like that Crystal Palace are a bit doomed. They hired Sam Allardyce last season and he has done his job and kept them in the Premier League. However,there is a huge price for pay for hiring someone like Sam Allardyce. It is that, you get a team that plays the Allardyce way, which in most cases is an ugly defensive football. Now De Boer wants to change that and in order to do so, he needs full support from Crystal Palace board. They need to give him money to bring the right players and should be prepared to keep loosing until he changes the way that team plays. The truth about Sam Allardyce’s football is that sooner or later the teams he managed within the last 20 years – Bolton, Newcastle, Blackburn, West Ham and Sunderland- either got relegated or got badly damaged and needed to hire someone to rebuild their squad in order to start playing football, again. I feel for Palace, but their board now has to mate the right decision and to give their support to Frank De Boer. Swans would be OK this season? Swansea have been expected to be a team involved in a relegation battle. Well they aren’t anything like that at the moment. The have already won 4 points of their first 3 games and it looks like they will be good this season. Tammy Abraham’s first Premier League goal helped the Swans to win their first game of the season and it looks like Abraham loan deal would prove to be a very good move for Paul Clement. Man United to march for trophies? It looks like Jose Mourinho’s Red Devils are taking advantage of the easy fixtures they have and have grabbed all the points so far. If the Red Devils continue like this, it would be very hard for other teams to stop them. It is a long season, however. We need to wait until October 14th, when Man United will visit Anfield. It looks like this is the first premier League fixture when they would drop some points. The second goal that Man United have scored against Leicester City at home should have been canceled as the Marouane Fellaini was in an offside position. The Red Devils were the better team and should have won this game even without the referee’s support, however. The Liverpool’s 4:0 win against Arsenal on Sunday should not fool Reds’ fans that their team is ready to win the title. No, the are not! Jurgen Klopp’s men have a lot of work to do and this includes some transfer business, either now or during the January transfer window. 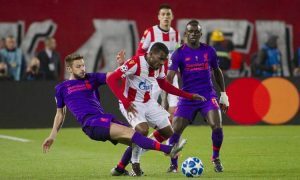 In the Liverpool home game against Arsenal that Reds have won decisively, Dejan Lovren still have managed to make a giveaway to Arsenal strikers. The just haven’t used it properly. The goalkeeper Loris Karius wasn’t convincing at all, despite that he did’t have a lot of work to do this Sunday afternoon. Liverpool should do their best to keep Philippe Coutinho and to repair their relationship with him, which has been damaged due to FSG’s unwillingness to sell him to Barcelona. Alternatively, they would allow him to leave and then sign any gifted No 10 player. The Reds attack looked very efficient against Arsenal, but it was just one match played against a big team like Arsenal that tries to attack on any occasion, instead of just sitting deep, defending and playing on counter attack. Liverpool will experience a lot of issues with the so called “lesser teams” and would loose a lot of points if they don’t have anyone like Coutinho, who could open spaces and create chances. 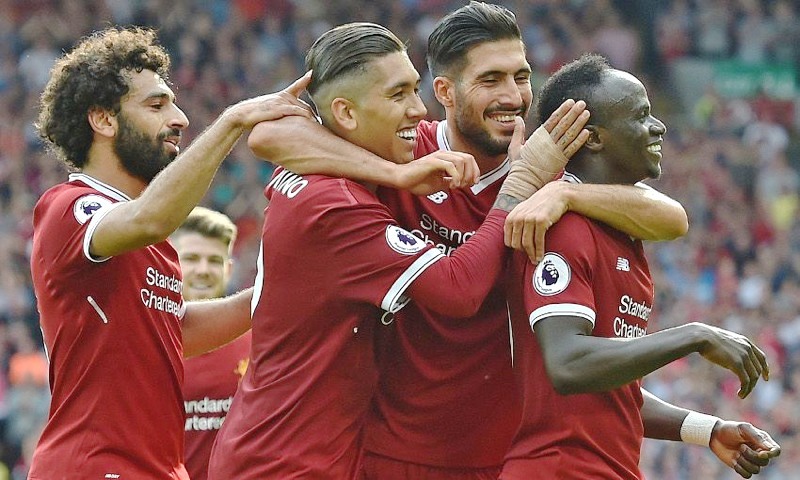 The good news for Liverpool this season is that, for the first time in many years, the Reds have a good depth in their squad and quality players who came come from the bench. Huddersfield look like a Premier League team for now! After the game David Wagner said that he is proud that Huddersfield haven’t conceded a goal after 3 Premier League games. 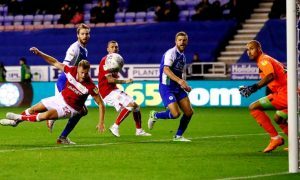 The 7 points that Terriers now have, give time for Wagner to improve his squad. The next 5 fixtures for the Terriers start with an away game against West Ham, home one against Leicester City and then two visits to Crystal Palace and Burney. In the last day of September, Huddersfiled play at home against Tottenham. If Dave Wagner’s team wins 5 or 6 points out of the possible 15 until the end of September, they would keep sitting of the upper side of the table. Is there a Wembley factor for Spurs? I would imagine that no one at Tottenham board would have thought that it is going to be very easy for Spurs to win their home games at Wembley this season? Why? it is simple, every English team loves to play in the England’s national stadium. The Spurs opponents will just go to the capital and enjoy their football. 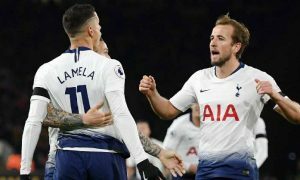 Wembley is not a real home ground for Tottenham and because of that it is not going to be easy for them to win their home fixtures this season. Other than that, Mauricio Pochettino needs to add few more quality players to his squad. Watford kept going while Brighton & Hove Albion worthier fist point this season. We would need to give Watford some more time before judging on them. 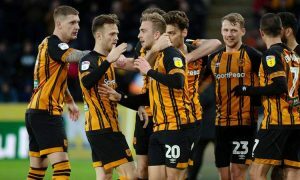 What we know so far is that they have a very good manager in the like of Marco Silva and it is very likely that they’d finish in the top 10 at the end of the season. It looks like that Chelsea will not miss Diego Costa. Alvaro Morata started the season very well, scoring goals and creating chances for his team mates. Chelsea have beaten a tough side like Everton easy on Sunday and will keep winning points. Sooners or later there competitors would drop points and Chelsea might top the table. There are no easy fixtures for the Blues until the end of September. They visit Leicester City, then welcome Arsenal at Stamford Bridge, before visiting Stoke. At the last day of September the Antonio Conte’s men go to Manchester to play against City. West Ham at the bottom! Finally, It is a very disappointing starts of the season fro West Ham. It is not just the three losses that Hammers have registered so far. It is that the Slaven Bilic team looks helpless. The next game for them is at home against Huddersfield and I think that if Hammers fail to win it, they’d probably fire Slaven Bilic. The club’s management have already considered sacking him, but have eventually decided to give him few more games to prove that he is capable of winning this season. This would be the home fixtures against Huddersfield, Tottenham and Swansea, as well as the visit to the Hawthorns.